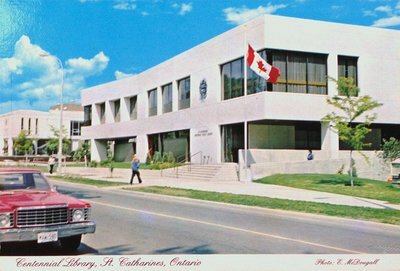 A postcard of the Centennial Library as seen from Church Street, St. Catharines, Ontario. 1979 or 1980. Peterborough Post Card Ltd., Peterborough Ont. Peterborough Post Card Co. Ltd.